We recently had the opportunity to visit Fritz Hansen offices just outside Copenhagen to learn more about their philosophy in furniture making, as well as their vision for the future. The Legacy Begins. 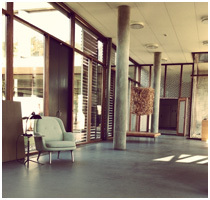 Fritz Hansen started in 1872, with specialization in decorative, wooden legs for tables and chairs. From there the company began to thrive….